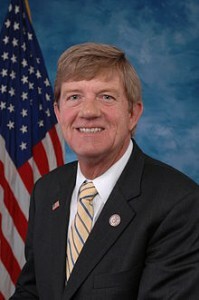 The Grand Junction Daily Sentinel has endorsed U.S. Rep. Scott Tipton for another term, albeit one of the strangest, back-handed endorsement we’ve ever seen. In a nutshell, the straw that broke the Sentinel’s support was Democrat Diane Mitsch Bush’s refusal to back the Jordan Cove natural gas pipeline. The fact is, Bush doesn’t think natural gas is any use to Coloradans — not for the energy or the jobs it produces or our economy it bolsters. That’s a losing stance on the Western Slope. What’s ironic about the Sentinel’s endorsement, is their confession that was the only issue holding them back. They don’t think Tipton is dynamic enough or does enough for 3rd Congressional voters — other than all that work they cited to get more forest fire protections, VA medical treatment, federal money from federal land royalties and protecting Pueblo steel producers. They really wanted to endorse Bush, the Sentinel reveals, because if Democrats should happen to retake the house, Bush would be on the winning side. In essence, they want Democrats to win, but they want all the work Republicans actually do for Colorado when they’re in charge.